Mdm Goh drove out of a Chua Chu Kang HDB car park and struck a man. And she was filled with remorse. The site was viewed from the main road where a vehicle might turn from as it exists from the multi-storey HDB car park. 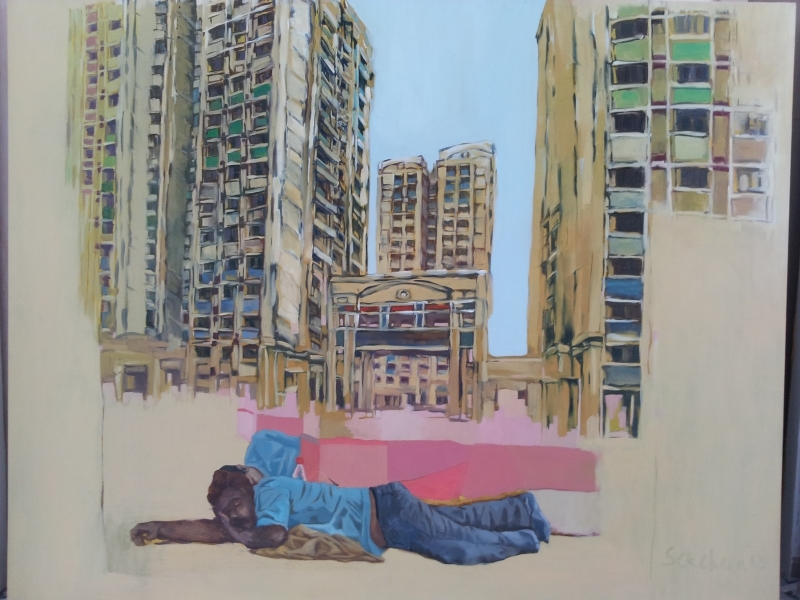 At the bottom of the painting are two sleeping figures based on photographs taken of workers taking afternoon nap at HDB void deck.